Everyone's favorite part of Mister Rogers’ Neighborhood was watching the factory videos. From crayons to balloons, we couldn't take our eyes off them. Now that you're a grown-up (or grown-up enough), it's still socially acceptable to be mesmerized by the production process, but now you can actually go to the factories of your favorite local brands and see it all happen in person. Here are a dozen factory tours worthy of a stop on your next trip across the Badger State. 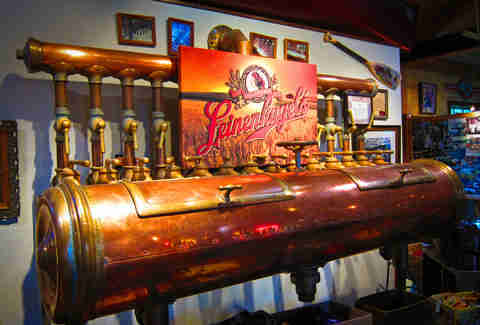 A list of Wisconsin factory tours isn't complete without a brewery, and Leine's way up north is one of the best. Start in the Leine Lodge, then tour the 150-year old brewery that's been family run for six generations. Then it's back to the Lodge for the most important part of a brewery tour: the tasting. Try the only-available-in-Wisconsin Red Pale Ale and grab a Leine's branded cribbage board for your cabin. 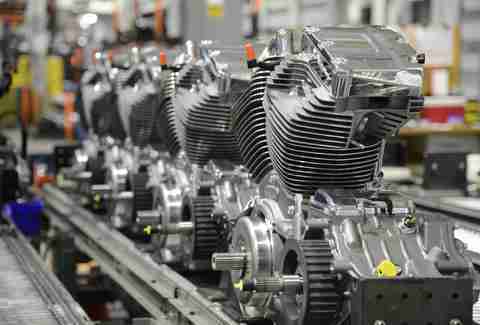 There are two types of tours offered at this plant that produces engines and transmissions for numerous Harley bikes. The free tour gives you a view of the assembly line and designated machining areas. The Steel Toe Tour is for the ultimate HD fan. Steel toe boots and safety equipment are required (and provided) because you'll get right on the production floor. This one starts at the Harley Museum and includes transportation. 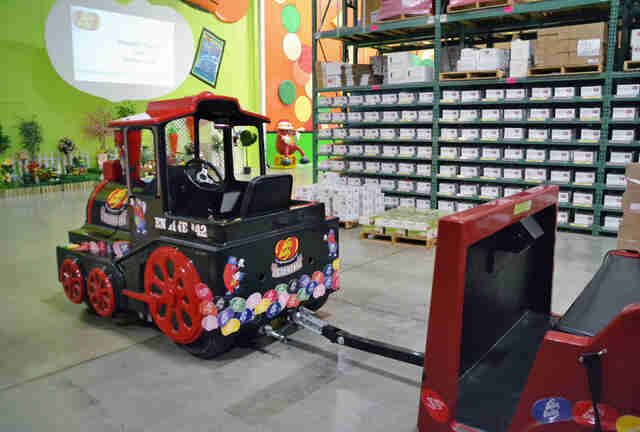 Though it's really a warehouse tour and you only get to see candy being made on videos, who cares because you're riding in a train covered in toothache-inducing jelly bean cartoons. The train drops you off at the gift shop and tasting bar, where you can indulge that sweet tooth with as many island punch and canned dog food beans you can handle. Buy some Belly Flops--rejected, misshapen beans--for cheap while you're there. For something a little more old school, take a tour of the Wisconsin Wagon Company. They create handmade wooden wagons, sleds, doll furniture, wheelbarrows and rocking horses. The Janesville Coaster Wagon, their flagship design, dates back to 1915. Tours last about one hour and follow the manufacturing process, from lumber delivery to assembly and shipping. Step into the door of this almost-century-old cheesemaker and you'll be standing in a small retail space. Look past the cheese cases and into the "make room" where the cheese is actually created in open vats. If you go at a time when cheese isn't being made, you can watch a video in the shipping room and get samples. A washed-rind variety of Brick is the specialty so don't pass it up. St. Croix makes some decidedly futuristic looking fishing rods, designed for fresh and saltwater, fly fishing, ice fishing, and likely other types that I could tell you about if I knew anything else about fishing. Take the fisherman's dream hour-and-a-half factory tour to see where engineers and designers work together to create each rod. 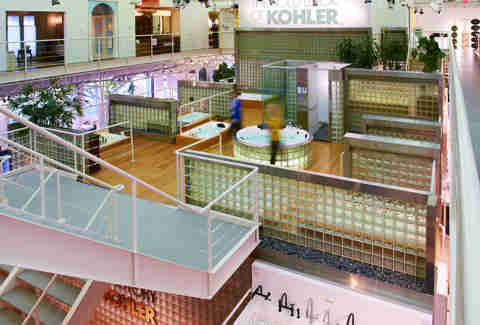 Kohler manufactures just about everything you'd need to make really awesome bathrooms and kitchens, from toilets to faucets. Free tours start in the Kohler Design Center where you can pine over the kitchens and bathrooms you’ll never have in your home. You must wear enclosed shoes, safety glasses are provided, and no cameras are allowed. 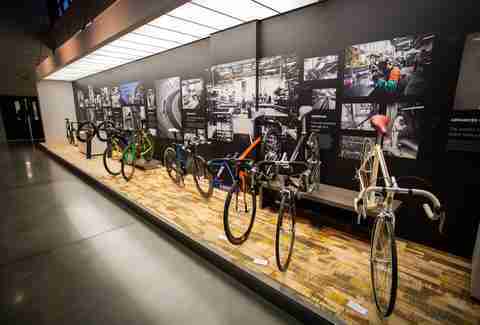 Tours at this bicycle manufacturer founded in 1975 in a supper club start in the atrium which houses a historic collection of bikes. 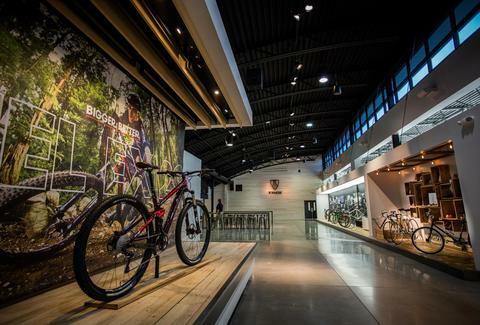 Then you'll see the design studio and the race team shop, where every professional athlete's bike is built and inspected. No samples on this one-hour tour, because well, you can't really sample a bike. Here's a weird little factoid you probably don't know: Wisconsin grows more ginseng than any other state, by far. You can tour the largest farming and retail operation in the country right here at Hsu's. 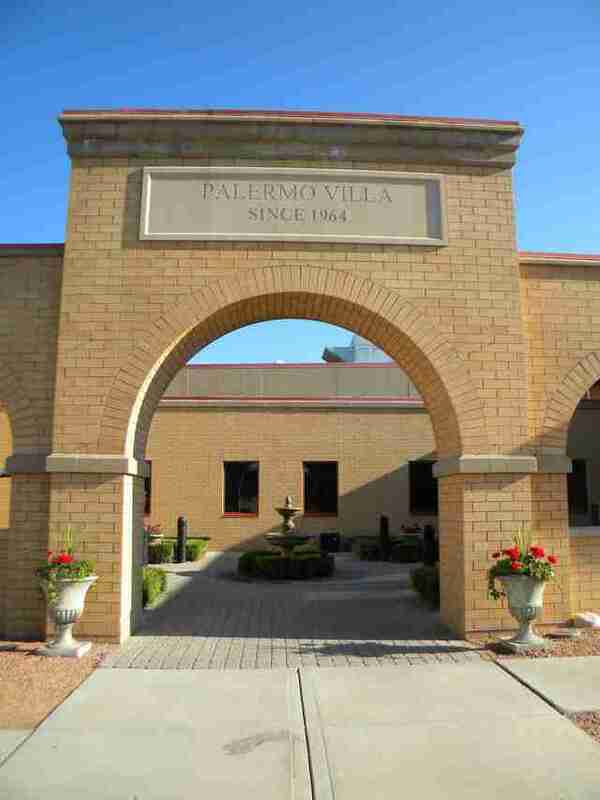 They've been growing and selling since 1974 and now have over 100 acres. 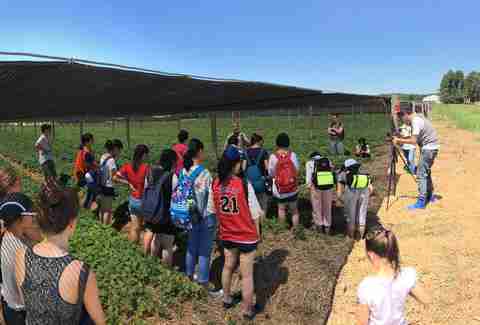 What you'll see on the tour depends on the time of the year, so expect anything from seedlings to root harvest, plus the processing and packaging plant. The Wisconsin Department of Natural Resources has been raising fish at this facility since 1914. They raise muskie, walleye and northern pike during the summer months from millions of eggs for release into public waters. You can tour the many outdoor rearing ponds, see the hatching jars where the eggs are collected, fry tanks, and the visitors center which includes an aquarium, exhibits and historical photos. What could be better than touring a pizza factory? Getting to eat pizza at the end--you will be craving it. Watch a video, check out the production floor from above, and end up in their pizzeria where you can grab a snack. You can get wood-oven fired pizzas there that they don't sell in stores (they're not frozen), so it's worth the trip just for a stop in the pizzeria. Makers of the world's best cheese, Emmi Roth's chalet-style plant produces cheese Monday through Friday, and on occasional Saturdays. There is a viewing hall overlooking the cheesemaking plant inside the retail store. If you book a group tour, Tony, the proprietor of the store will lead the tour. Lacey Muszynski is a Wisconsin native who has never done the Jelly Belly tour, but has had her fair share of beans from the tasting bar. Tell her why she's wrong to like the buttered popcorn bean on Twitter @worthhersalt.